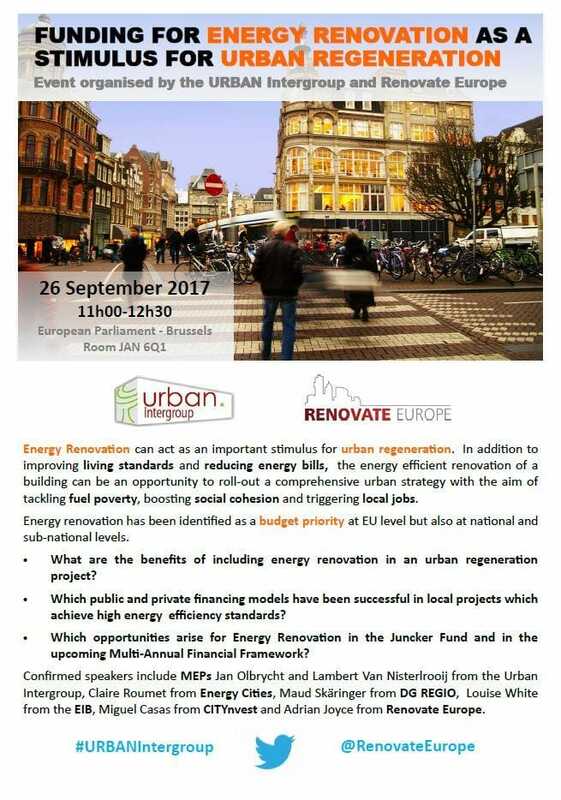 Jointly organized by the URBAN Intergroup and Renovate Europe, this event took place on Tuesday 26th September in the European Parliament. 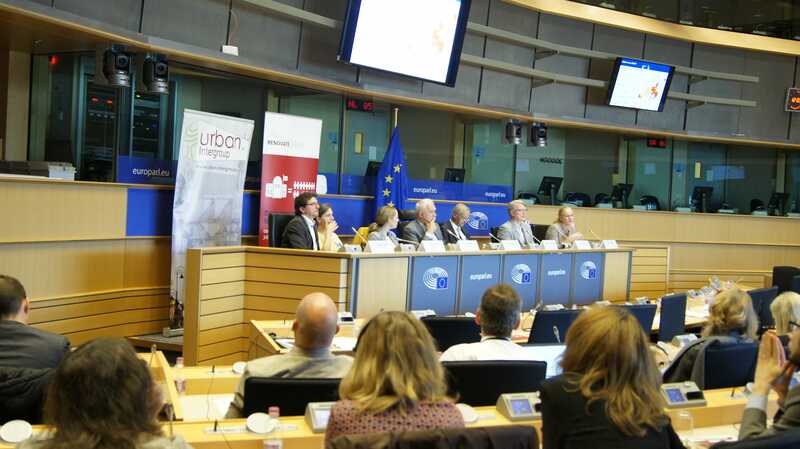 The event was held in the context of the ongoing negotiations on the review of the Energy Performance of Buildings Directive, due to be voted in the EP early October, and sought to draw a link with available funding and opportunities to help Member States implement buildings-related legislation, through the Juncker Fund, the EIB and the next Multi-Annual Financial Framework, but also raising awareness about successful local initiatives. What are the benefits of including energy renovation in an urban regeneration project? Which public and private financing models have been successful in local projects which achieve high energy efficiency standards? Which opportunities arise for Energy Renovation in the Juncker Fund and in the upcoming Multi-Annual Financial Framework?